1 January 2008: Eighty per cent of Americans live in metropolitan areas comprised of hub cities and surrounding suburbs. Metro economies account for 87 per cent of America’s total economic output. Central cities, in other words, are major generators of wealth that attract business, labor, tourists, and investment. One might expect that the health of central cities would be at the forefront of debate during the presidential election campaign, yet candidates pay little attention to cities. Cities are the weakest level of American government. Most depend on the property tax  one of the most regressive taxes  as their primary revenue source. Compared to the federal and state governments, American cities have limited spending powers. They cannot run deficits, and their ability to issue and manage debt is relatively restricted. Moreover, federal and state governments routinely underfund social services, education, infrastructure, public safety, and other services crucial to cities. In Boston, for example, there is money only to maintain the city’s aging subway system, not upgrade it. 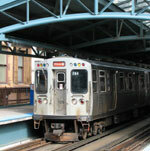 In Chicago, nearly 25 per cent of the subway and elevated train tracks are in such poor condition that trains designed to travel more than 50 miles per hour often go no faster than 5 miles per hour. 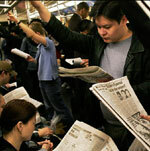 Subways in New York, the nation’s largest city, and Washington, the nation’s capital, are seriously overcrowded. Boston, Chicago, New York, and Washington simply lack the money to do all that’s asked of them, a story that is repeated in cities across the US regarding not only mass transit but a wide range of public services. When the Congressional Quarterly Press issued its annual crime rankings in autumn 2007  including a list of the nation’s most dangerous cities  many mayors took offense at the bad publicity. But the reality is that American mayors have few resources to deal with the underlying social indicators such as teen pregnancy, poor schools, single-parent families, substance abuse, dilapidated housing, and racism that could change the crime statistics. America’s traditional ambivalence toward cities - Thomas Jefferson considered them both “corrupters of morals” and “beacons of culture”- has turned more aggressive in the past 50 years. In the 1960s and 70s, the nascent neoconservative movement gained momentum for its agenda of reducing the size and power of government primarily by attacking cities and city dwellers. In the 1980s, President Ronald Reagan, the first neoconservative president, drastically reduced federal support for cities. When Reagan took office in 1981, federal dollars accounted for 22 per cent of central city budgets. When he left office eight years later, it was down to 6 per cent. Reagan often told the story of a “welfare queen” in Chicago who drove a Cadillac and had received $150,000 in welfare checks from the government using 80 aliases, 30 addresses, a dozen Social Security cards, and four fictional dead husbands. In response, Reagan promised to roll back social welfare programs in addition to cutting direct federal aid to cities. It was discovered that Reagan’s welfare cheat never existed. Nevertheless, he kept repeating the anecdote, powerfully disseminating his belief that cities and city residents are the feckless authors of their own misfortune. Democrat Barack Obama is the only major presidential candidate with an explicit urban agenda. If elected, Obama promises to create a White House Office of Urban Policy that coordinates all federal programs for cities and reports directly to the President. The Office of Urban Policy would focus federal resources on eliminating concentrated poverty and other pathologies of American inner-city slums, which Obama asserts is the key to the prosperity of the entire city. Obama’s proposal has not been mentioned in the two dozen or so presidential debates that have occurred to date. Curiously, the topic of cities has not been discussed at all, despite the multitude of new studies showing that national prosperity is tied to the rising affluence of urban dwellers. These studies show that American cities are the nation’s economic and creative drivers. Cities, of course, have enormous problems. They in fact reflect almost all of America’s social and environmental problems, and so one could reasonably conclude that it is in our cities that changes must begin and the solutions be found. As the federal government has reduced its support for cities over the past 30 years, mayors have been compelled to innovate. On environmental sustainability, transportation, public safety, education, public health, immigration, and many other issues, the true innovators in the US have been central city mayors. It might therefore appear obvious that mayors have unrivalled competence in understanding and dealing with problems that impact the nation. Yet no presidential candidate has created or proposed, for example, a national advisory board of mayors. Solving the problems of the 21st century will likely require a new partnership between mayors and the federal government. It will require an admission at the national level that urbanity will shape this century even more than the last one. It has been decades since the US has had a comprehensive program let alone a vision for cities. The laissez-faire approach impedes metropolitan and national progress and guarantees urban deterioration. Subways in New York, the nation’s largest city, and Washington, the nation’s capital, are seriously overcrowded. A former mayor of New York City, Rudolph Guiliani, is a leading Republican candidate for president. The city's current mayor, Michael Bloomberg, is the subject of much speculation since he is said to be considering a run. However until now, few mayors have had the national standing to aspire to the presidency. In the 19th century, the political job of choice for successful presidential candidates was usually senator or governor. For the 20th, however, governors held sway. Only four senators were elected - Warren G Harding, Harry Truman, John F Kennedy, and Richard Nixon - while governors dominated the White House. Both Roosevelts had been governors, and together served for almost a quarter-century. Other governors were Woodrow Wilson, Calvin Coolidge, Jimmy Carter, Ronald Reagan, Bill Clinton, and George W. Bush. No mayors have really gotten a campaign off the ground.